Air Quality Forecasting - How accurate can it be? A Beginner's Guide to Air Quality Instant-Cast and Now-Cast. Android app. update: now with embedded map and wind forecast. Australian Air Quality: Comparison with the US EPA AQI scale. Android app. update: now with notifications and automatic location finder. Updated Android application 3.0 now available for download. Dylos Air Particule Conter experiment maintenance. Dylos Air Particule counter experimentation, part 1. Singapore PSI and PM2.5 AQI: Why is there a difference between the two readings? Can masks really filter the particulate matter as small as PM2.5? Why is PM2.5 often higher than PM10? Is PM10 still a relevant measure? The Haier AirBox device. Does it provide any useful information? Dylos monitor: What is it actually measuring? PM2.5, PM10 or PM0.5? For a more general presentation of the quality research and experimentations, check our research and development page. AQI Scale: What do the colors and numbers mean? Are you wondering what the different colors and numbers below mean? A common question asked is why are nitrogen dioxide (NO2), sulphur dioxide (SO2) and carbon monoxide (CO) concentrations always so low and is measuring them useful? To highlight the importance of monitoring these substances this article is going to explain where these pollutants come from and how to they affect our health and the environment. To keep things short this article will just focus on NO2. It is already several months since the US EPA updated its AQI standard for Ozone 8 hours breakpoints. This is definitely a positive step towards strengthening Air Quality in the USA, since the US EPA Standard was actually among of the least conservative standard for Ozone, compared, for instance, to similar standards in India, China or Europe! But more interestingly, AirNow recently took a step further by introducing the Ozone NowCast formula, which allows to use the weighted 8 hours breakpoint standard in place of the 1 hour breakpoint. This change, which the AirNow team did not widely communicate to the public, makes quite a change to the way Ozone AQI is reported, and this is what we will be looking at in this article. We have been writing quite a few times about the influence of wind on air pollution, and how strong winds (or, to be more precise, strong ventilation) can help to clean the air in a very short time. But we never had the opportunity to create on a dynamic visualization of this phenomenon, so this is what this article will be writing about. We have been recently cooperating with quite a few more EPAs worlwide. Among all the requests which we have had, it is actually to provide a Web Map Service so that the EPA themselves can include the real-time Air Quality data onto the map from their website. One of the obvious advantages of using such a map web service from us is to benefit from the transboundary data which we are curating, i.e. a world wide Air Quality information is provided without country boundary limits. The second advantage is not only that this is a free service, but it is also completely compatible with standard map technologies from google, bing or leaflet, which allows a quick and easy integration with any existing website. I am confused with all those numbers, and why there is a difference with the numbers shown on the Warsaw EPA website. Could you please kindly inform me about the source of the data in Warsaw and the reliability of the data you provide with? This is actually a very good question, since, when it comes to data, no one should take data as "granted" (refering to the excellent TED talk from Talithia Williams on 'Own your body's data'). This is also the reason why the World Air Quality Index project exists, i.e. to explain every one how to understand the number behind air pollution. In order to improve the integration of our AQI widgets within external websites, we have developped a new widget API feed. Compared to the existing widget feed, this new API feed provides much more flexibility for the integration, but also many more options for customzing the widget appearance. Real-time Air Quality data for is now available for Indonesia. 10 stations located in major cities across Indonesia are measuring in real-time PM10 pollution. 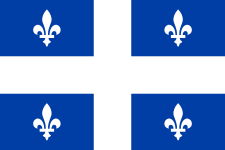 The Fleurdelisé, flag of Quebec. I would like to know why the Air Quality Index on your web site is different from the AQI on the Montreal's website? Do you recalculate anything to meet the US EPA AQI standards? If so, how? With what data? This is indeed a very good question. and we will explain in this article the different scales in use, how the scales compare to each other, and how the convertion can be done. Thanks to the World Air Quality Index project community, translations for the Polish language are now available for the Website and web-application. Many thanks especillay to the user "AiRs" for the excellent contribution. Beijing citizens do know for long that the best natural way to clean the pollution in the air is strong winds from the North, while winds from the south might, on the contrary, bring more pollution from Hebei. In Quito, Ecuador, there is a similar problematic, except that the pollution comes from the active volcanos. Fortunately, they do not erupt that often, but when they erupt, better avoid being under the the heavy ash cloud formed by the explosive eruptions (see picture). It is already a long time since the Hong Kong EPA has updated its Air Quality Index standard from the traditional Air Pollution Index to the so called Air Quality Health Index (AQHI), but we never got a change until now to have a deeper look at it, which we will do in this article. But there is actually much more than a range simplification: the new AQHI is also introducing the very clever concept of Added Health Risk (%AR), which was originally defined, in 2007, by a team of four partners from South Africa, and first used in Canada. The Air Quality forecast for South America is now available on the World Air Quality Index project, in parnership with the Brazilian Centro de Previsão do Tempo e Estudos Climáticos (CPTEC). The forecast can be accessed freely accessed from cptec.inpe.br as well as forecast/ south-america/. The CPTEC team has done an excellent work at providing a simple and detailled explanation on the underlying concepts used by their forecast model, called BRAMS (for Brazilian developments on the Regional Atmospheric Modelling System). The picture below (from the CPTEC) is giving an insight on the workflow for their model (source -> transport -> deposition). The ground Ozone Air Quality Index calculation has just been updated to follow the Instant Cast concept, i.e. to report the pollution right now instead of the pollution from the previous hours. For more information about the Instant Cast, please refer to this article. The calculation for the Ozone Index is now using the hourly reading, instead of the previous 8 hours average, but still applying the same 8 hours AQI breakpoints formula for AQI below 100. The previous procedure for calculating the 8-hour average concentrations is not used any more for Instant reporting. Above AQI 100, the normal 1 hour Ozone breakpoints are used (while before, the AQI above 100 was defined as the maximum of the 1 hour and 8 hours readings). The Indian Central Pollution Control Board has recently announced, in April 2015, the publication of India's National Air Quality Index Standard (NAQI ). All the details on this standard are available from CPCB, wikipedia or from this report from Indian Institute of Technology, Kanpur (iitk.ac.in). Latin America, just like any other continent in our world is facing Air Pollution. The recent 2014 report by the World Health Organization on Ambient (outdoor) Air Pollution gives some annual mean figures for several cities in Latin America. Without surprise, the worst scenarios are in Asia, but yet, some cities in Latin America have high indexes too (see table on the left). The ranking from the WHO should however by considered carefully, especially considering the measurement methods used the report can be argued - for instance, for Lima, the Peruvian EPA is arguing that the data from the WHO is not correct because the samples were not taken in the right places (read this article from P. Estupinya for full feedback from several countries). This is actually for this reason that we only publish real-time information on the World Air Quality project since we do believe than more than ranking, it is the current conditions that are important for the world citizen. Air Quality for Malaysia has been available for a long time, but unlike other countries, only the composite AQI is provided. The AQI for the individual pollutants such as PM10, Ozone ... is not available, which makes the convertion to the US EPA scale more difficult. Fortunately, the information about the AQI scale used in Malaysia, also known as API (for Air Pollutant Index) is clearly explained in the document 'A guide to Air Pollutant Index in Malaysia'. The Balkan Peninsula, popularly referred to as the Balkans, is a geographical region of Southeast Europe. The region takes its name from the Balkan Mountains that stretch from the east of Serbia to the Black Sea at the east of Bulgaria. Many of the countries in the Balkans are providing real-time Air Quality readings. The data for Turkey (Thrace), Romania and Croatia have already been available on the World Air Quality Index project for a long time. Today, we are able to roll-out the data for 3 new countries: Serbia, Bulgaria and Macedonia. When talking about Air Quality, the first countries that comes to people's mind are China and India, and more generally Asia. Even on the World Air Quality Index project, Asia has always been, since the begining, our strong focus (most likely because this is where our HQ is located!). Thanks for making the World Air Quality Index project site. It gives very useful information. My only concern is why Africa is not considered. For information I am a moroccan citizen. In weather prediction, forecast models are used to predict future states of the atmosphere, based on how the climate system evolves with time from an initial state. While the forecast models are quite complex (and do require strong scientific and engineering capabilities), the science of analyzing those forecast models, and verifying their accuracy, by comparing actual empirical observations to predicted values, is quite straightforward. For the domain of Air Quality, just like for weather prediction, it is possible to define models used to predict the future set of atmospheric pollution. 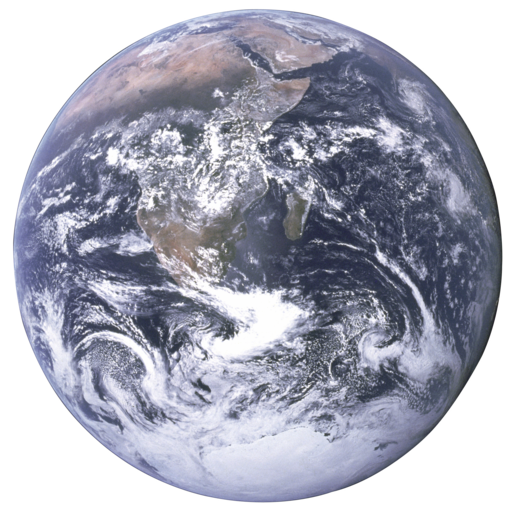 There are actually plenty of such models, often referred as Atmospheric Dispersion Modeling. And just like weather prediction, the same concept of accuracy analysis can be applied to Atmospheric pollution predictions. We have been checking air quality index for the Tianjin, China since last year, however we found the data has such a big difference between your website and another official (air.tjemc.org.cn) one which is stated on yours as well. I am wondering which one can provide more accurate data, as it will affect the decision for outdoor or indoor. Please help me with this issue. Thank you! We have been writing quite a lot about this issue before, for instance from a comparative PM2.5 data for shanghai, singapore PSI and PM2.5 AQI and more recently about the nowcast. But, because we are still getting many questions, we are now writing this article to explain the difference of the AQI scales used all over the world. Back in March 2015, we had the chance to meet in Beijing several environmental specialists from the US State Department as well as the China Mission (the famous entity running the PM2.5 monitors in the Beijing US embassy). Among all the topics that were addressed, there is one worth writing about, namely the "nowcast" system. This system used by the US EPA to convert the raw pollutants readings, expressed in µg/m3 or ppb, into the AQI (scale from 0 to 500). It is used for all the AQI values reported on the airnow.gov website. The concept behind the nowcast is to compensate the "24 hours averaging", which should be used when converting concentrations to AQI. The reason for this averaging is that the AQI scale specifies that each of the Levels of Health Concern (i.e. Good, Moderate,... Unhealthy...) is valid under a 24 hours exposure. For example, when seeing a 188 AQI (Unhealthy), one need to read it as "if I stay out for 24 hours, and the AQI is 188 during those 24 hours, then the health effect is Unhealthy". This is quite different from saying that "if the AQI reported now is 188, then the health effect is Unhealthy". We recentely had the priviledge to start a cooperation with the NASA Remote Sensing monitoring program. ; The objective is to use the Remote Air Quality sensing based on the NASA Satelites to determine the Air Quality in areas where sensors are not available (e.g. over the sea, but also for countries where sensors are not yet available). Earlier this week (of February 2015), we got several inquries from Hanoi citizen wondering about the Air Quality Index which was displayed on the Hanoi page (city/vietnam/hanoi). The latest version 3.2 of the World Air Quality Index project Android application has just been released, and comes with few new cool features: The embedded map which will let you navigate through the world air monitoring station directly from the app and the wind and temperature forecast tab which gives you the coming 3 days forecast. We have also been working on refreshing the visual and updating settings to support, for instance, Fahrenheit temperature display. You can get the app from the google store, or directly download the signed apk from our website, in case you do not have access the Android app store. Like every other year since 2002, our collegues from Clean Air Asia (aka Clean Air Initiative) are organiznig the biennial Better Quality Conference (baq2014est.org). This time, it will take place in Sri Lanka, from November 19th to 21st 2014, and will be co-hosted together with the Environmentally Sustainable Transport (EST) forum. The "Integrated Conference of BAQ 2014 and Intergovernmental 8th Regional EST Forum in Asia" co-organized by the Ministry of Transport of Sri Lanka, The Ministry of Environment and Renewable Energy of Sri Lanka, Ministry of the Environment of Japan, United Nations Centre for Regional Development, and Clean Air Asia, in partnership with the Asian Development Bank, German International Cooperation (GIZ), and World Bank. Recognizing that clean air and sustainable transport are essential to a livable society in Asia, we call for innovative and smart solutions (policy, institution, technology and financing) that significantly reduce air pollution and greenhouse gases from energy, industry, transport, and area sources, and ensure a safe, equitable, environment and people-friendly transport system by accelerating the shift towards more environmentally sustainable transport (EST) in Asian cities and countries. Check out the program. More than 800 participants are expected to join the BAQ 2014, and we will be part of them, presenting our recent research on affordable air quality monitoring solution we have been conducting within our research lab. The Air Quality data for Perth and Western Australia is finally available after a long waiting time: The department of Environmental Regulation (DER) from the governement of Western Australia, is now publishing the data on their site: der.wa.gov.au/your-environment/air. While the link to the DEC site is still not working, the feed can be accessed from this new page . Note: this article was written in 2013. While the Dylos monitor is still a good product, there is nowdays much better and affordable monitoring products, so we do not recommend purchasing the Dylos product anymore. You can for instance check the GAIA air quality monitoring stations product range from ES Labs. The Dylos Air Particle Counter experiment is still going-on, and has been on for now 50 days. So, last weekend, as the air pollution in Beijing was getting really low - thanks to strong north winds, we used this time as an opportunity to perform a maintenance break... on the Dylos monitor itself. The reason is that, even if the Dylos monitor is definitely well designed and engineered equipment (we do mean it), it maybe not be so well conceived to subsist Beijing's tough episodic Air Pollution. It all started after noticing that the correlation graphs between the Dylos and BAM monitor tend to show some systematic signs of leveling beyond 38,000 particles (≥0.5µ). This kind of saturation symptom can be the consequence of internal air inflow bottleneck, which can be caused by "saturated" air channels. During times of heavy pollution, this phenomenon is totally normal due to the large amount of particulate matter having to go through the air channel. Actually, having to perform such cleaning and maintenance on the Dylos equipment is not a surprise, since even the very expensive BAM equipment requires monthly maintenance by skilled operators. It is now 10 days since the cleaning has been done, and the situation has definitely improved for the correlation between BAM and Dylos. From the graph below, which shows the measurements before and after the cleaning, the zone indicated with number (2) shows a very good similarity (correlation) between BAM and Dylos. But, under condition of heavy pollution, there are still consistent signs of leveling (deviation in measurement), as highlighted with zone number (1) and (3). The deviation seems however less worse after the cleaning (zone (3)) than before (zone (1)). We are contacting the Dylos company, to consult them on this leveling phenomenon, and will update this post later. For some historical reason, the AQI convertion formula used for some of the cities on the World Air Quality Index project were not using the updated 2012 EPA PM2.5 standard. (This is only relevant for cities in Asia, like Japan and Taiwan. Other continents (America, Europe and Australia) have always been using the 2012 standard. The main change is this updated EPA standard, published on December 14th 2012, compared to the previous one (published in 1999), is to reduce (limit) the PM2.5 AQI level 50 from 15µg/m3 to 12µg/m3, and this in order to enforce more strict air quality standards. The most common way to measure air quality, as far as it concerns PM10 and PM2.5 particules, is to use the so-called Beta Attenuation Monitors, aka BAM (see picture on the right). Those are profesional equipment, and also the only official equipment used for Air Quality monitoring in China, US, and most of the world. The most famous manufacter is the US-based company called Met-One. The BAM working principle is quite simple: It measures the decrease in the number of beta particles (electrons) transmitted through a thin layer of particulate matter (PM). As the thickness of the PM layer is increased, the lower the number of beta particules can go through. The only problem with this kind of BAM equipment is that the cost, estimated to 120K CNY (15K EUR). In China only, there are around 500 of those (arround 10 station for each city), and yet, this is not enough as there are still many cities without any PM2.5 readings. In Thailand, there are 21 automatic (i.e. with hourly reading) stations, but none of them provide PM2.5 data. And in Vietnam, there are only 3 stations for the entire country. If you want to know how the Dylos Air Particule counter is working, please refer to the excellent reverse engineering work from Matthias from woodgears.ca, or simply from Dylos's website (www.dylosproducts.com/). You can also refer to the resarch paper A low-cost instrument for environmental particulate analysis based on optical scattering to understand the theory behind the measurement. In order to prove the point that such Dylos equipment could be used as an temporary solution for measuring Air Quality, we setup a small experiment in our labs, based on the Dylos DC 1100 Pro, with PC interface. The Dylos PC 1000 pro is relatively inexpensive, and can be bought from Amazon for $319. Please, note that you must get the pro, with PC interface version. The Pro is needed to be able to measure particules as small as PM2.5, as the non-pro version can only detect PM10 particules or larger. The PC interface version mandatory as it provides a Serial interface, needed for automatically extracting the data from the dylos monitor to the PC. If you buy the equipment from China, from taobao or jndong (jd.com), please be carefull and make sure to order the right version. The most common version in the DC 1100 without PC interface. Only few shop on taobao provide this right version, and at the present time of writing, jd.com does not even provide the correct version. If you need help for buying for equipement from China, you can contact us with the subject "Dylos Equipment Order", and we will help you for the ordering. The documentation and scripts for connecting the Dylos particules counter to the Raspberry PI, and automatically uploading the dylos data to the World Air Quality Index project server are available freely from github: github.com. If you have any questions, you can contact us with the subject "Dylos Experiment". Also, please note that when you setup your Dylos Particule Counter outside, you need to be carefull where you locate it. Ideally, it should be in a place which is not too windy, as the wind can have a significant impact on the readings (The reason is that the Dylos counter is using a simple fan to get the air inflow, and the volume of air inflow per minute needs to be constant in order to have accurate readings ~ This simple fan is one of the reason why this kind of material is so affordable compared to the professional MetOne BAM sensors). In order to compare the Dylos reading with the BAM reading, we use the BAM data provided by Beijing Chaoyang Agricultural Exhibition Hall (朝阳农展馆), as our station is located in the Sanlitun Soho area. And here is the real-time result: The line in blue is the dylos reading (updated every minute), and the line in red the BAM data (updated every hour). The first graph is to compare the PM10 reading, while the second graph compares the PM2.5. Also, please note that the BAM data is provided in µg directly, i.e. not converted to the AQI grades. As you can see, the similitude between dylos and BAM reading is quite high, but yet not always fully comparable. In the second part of this post (which we will write after two month, once we have collected enough data), we will provide more statistical data about the readings. Also, if you are interested in joining this experiment, by setting up your own Dylos station, please contact us. We will provide all the scripts and detailled setup, as well as to add you the sensor database, so that you can see your readings in real-time. As a follow up of this post, you can check the new post about the Dylos Air Particule Conter experiment maintenance. With the recent Southeast Asia Smog from Indonesia affecting Singapore and now Malaysia, we got many questions about why there is a difference between the data which can be read from Singapore NEA website (nea.gov.sg) and the World Air Quality Index project Singapore webpage. Shenyang city AQI data is now based on the maximum of the Shenyang US Consulate (沈阳美国总领事馆), Taiyuan Street, Shenyang (沈阳太原街) and Beiling, Shenyang (沈阳北陵). For more infomation, please refer to the article about Shanghai AQI. For historic reason, the World Air Quality Index project has been using the China MEP (Ministry of Environmental Protection) designation for the air quality levels. This is now past history, and the designation will follow, from now on, the EPA (Environmental Protection Agency) AirNow standards. The table below summarizes the differences in designation between the two standards, as well as the translations for the various languages. Please note that for now, this is only the Designation for the website which is updated. The designation for the Android application will follow soon. While discussing today about the faq entry on PM10 versus PM2.5 which I posted yesterday, my friend Klaus challenged on the usefulness of protection masks. He was actually wondering if the modern masks can nowadays really filter efficiently all the small harmful PM2.5 particulate matter? Yes, our Totobobo mask is able to cut down 99.85% of 0.1 microns particles. For the readers not familiar with particles size, PM10 refers to particles smaller than 10 micrometer, and for PM2.5, it refers to smaller than 2.5 micrometers. So, filtering out all the particulates smaller than "0.1 microns (same as 0.1 micrometers)", means that it can filter particles 25 times smaller than the harmful PM2.5! So, no worries Klaus, the newest technologies are definitely efficient! For more information about particles size, you can refer to the wikipedia page. If you want to learn more about how air filters are actually tested, or how the various mask brands compare to each other, check this very informative totobobo blog entry. And if you just want to get your own totobobo mask, click here. I don't understand why pm2.5 concentrations are often higher than pm10 concentrations. Aren't PM smaller than 2.5 micro included in PM smaller than 10 micro? Severine's question is totally correct: PM2.5 are, by definition, particulates smaller than 2.5 micrometers, so indeed, they should also be included as smaller than 10 micrometers. But the assumption about concentration is not correct: PM2.5 concentration can be smaller than PM10, but yet, the converted AQI value can be higher. For instance, an AQI of 50 for PM2.5 corresponds to 15.5 mg/m3, while it corresponds to 55 mg/m3 for PM10. So, even if the full PM2.5 15.5 mg/m3 are added to the PM10 concentration, the PM10 AQI still remains much lower than the PM2.5 AQI, For instance, earlier this week, the 东城东四 PM10 concentration was 366, resulting in 216 AQI, while the 东城东四 PM2.5 was 348, resulting in 398 AQI. You are right on these. The differences are due to the differences in the break points for PM2.5 and PM10 and how the epidemiological data is correlated to each of the fractions. There are now new studies presenting evidence that PM2.5 is more harmful than PM10. Physically, this makes sense - smaller than particle, more probability that it will go deeper into the lungs and harm us. This is also one of the important reasons for WHO to push for all countries to have standards for PM2.5. To the question, do we still need to have PM10 measurement, when we are doing PM2.5 - yes we still do. While the fraction of PM2.5 is higher in the PM10 fraction, for the most cities with pollution from transport and other combustion sources, an often neglected non-combustion source is dust re-suspension (from road dust and dust storms), which forms part of the coarser fraction (PM2.5 to PM10). If we suddenly stop measuring PM10, we will be neglecting this source. Most cities still measure only PM10 - in China and in India. So, another reason we cannot remove it from the equation. Many thanks, Dr Sarath, for the quick and professional answers. and lúwān shī zhuān fùxiǎo (上海师范专科学校附属小学). The first station is maintained by US Consulate in Shanghai, while the two last ones are provided by Shanghai Environment Monitoring Center(上海市环境监测中心), which is governmental center. For more information, please refer to the Shanghai AQI update explanations. The following graphics show the relative PM2.5 AQI data for Chengdu stations on which the overall Chengu AQI is based.